Come join Williamsburg experts on Thursday, March 23rd at 3pm for a panel discussion including a Q&A session to get your questions answered by area experts! 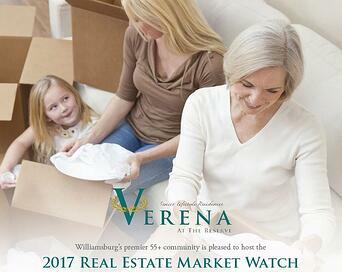 This event is being held at Verena at the Reserve, Williamsburg's premiere 55+ community. Please RSVP to Verena at 757-345-2995 by Monday, March 20th.